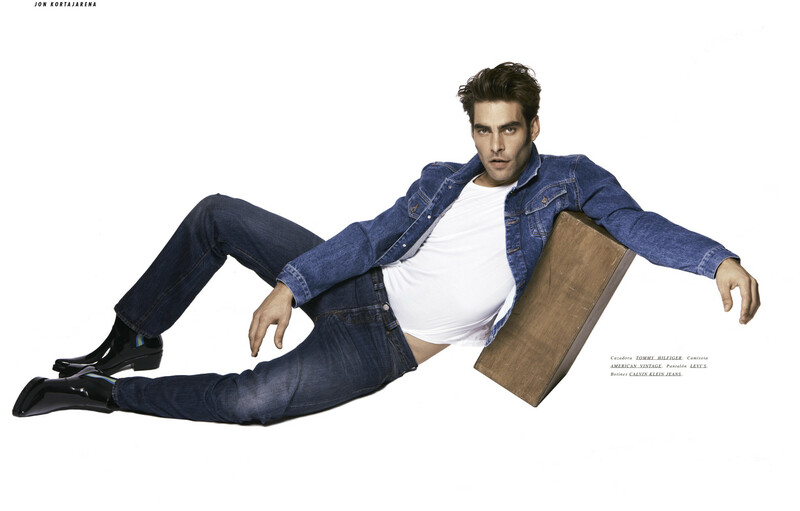 International Top Model Jon Kortajarena for GQ Spain by Nacho Alegre in “Always Art Remains” styled by Joana de la Fuente. The Spanish sensation is living the best moment of his life, recently British Vogue named him 10 of the Most Successful Male Models of All Time. He was attending as special guest on Balmain Menswear Fall/Winter 2019 in Paris. And he walked again with friend Jeremy Scott’s Moschino in Milan for the Autumn/Winter 2019 Menswear collection. The Vasco model awarded as New Actor on GQ Awards teaches us how to be on Top about denim. You can get now the issue GQ Spain February 2019. Renouncing an ornate aesthetic and betting on functional garments are some of the premises of the new season. Art, like these words, is the only thing that will survive us. I’m especially fond of the shots where Jon is smiling. It’s nice to see him having fun! That’s why he’s on Top.